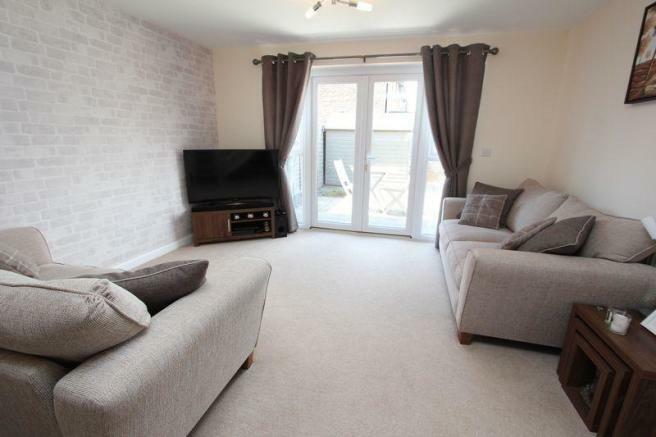 IMMACULATE LARGER STYLE BARRATT 2 BED; An immaculate 2015 built home presented to a fabulous standard. The entrance hall has a cloakroom/WC and media cupboard off; there is a lovely fitted kitchen with integrated oven, hob, hood, washer/dryer, fridge and freezer. The kitchen is entirely separate to the generous size lounge/dining room which has French doors leading out to the private rear garden. 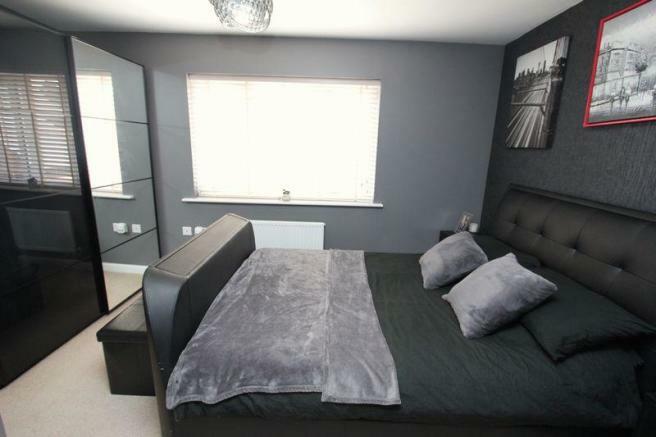 The first floor has 2 DOUBLE BEDROOMS, one with an EN-SUITE. There is also a separate bathroom/WC. There is a drive to the front, a rear access point and the property benefits from gas central heating and double glazed windows. The ASDA superstore is a moment away with the walks and beaches of Barry Island about ten minutes away by foot. Accessed via a modern door with a canopied style storm porch. The hallway has a superb ceramic tiled flooring which extends into the kitchen. Matching doors give access to he cloakroom/WC, handy storage cupboard which also houses the fuse box, telephone connections and the combi boiler plus there is further access to the lounge/dining room and open access to the kitchen. 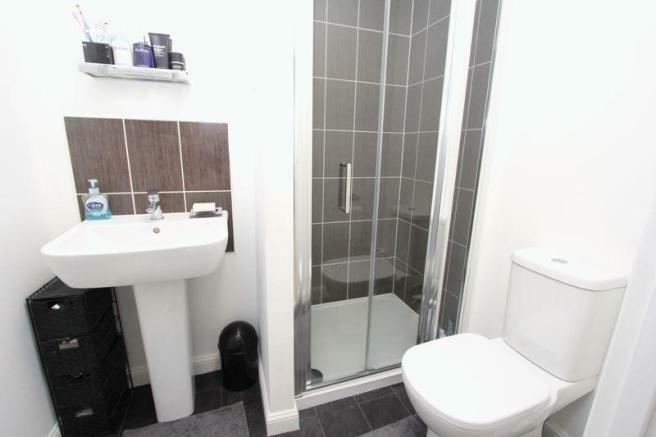 With a white suite comprising close coupled WC with button flush and corner pedestal wash basin with tiled splash back. Ceramic tiled flooring matching the hall, radiator and extractor. A beautifully appointed kitchen with a good range of matching eye level and base units in high gloss cream. These are complimented by natural wood style worktops which have a stainless steel sink unit inset with mixer tap over. 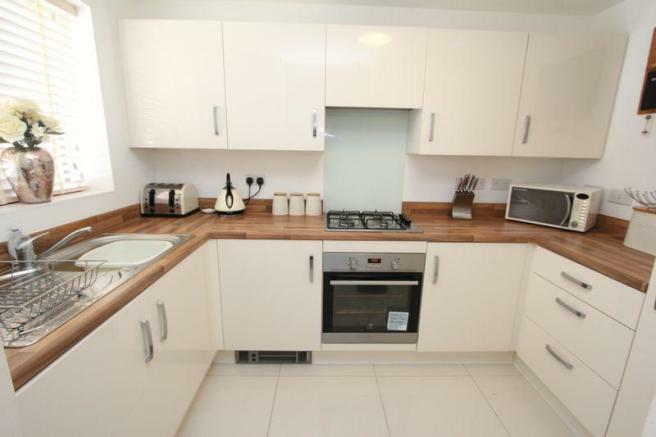 Integrated appliances include a four ring gas hob with electric oven under and cooker hood over. Further integrated fridge and freezer plus washer/dryer. A kick level heater, splash back trim matching the worktops plus there is a tiled sill with front uPVC window. Extractor. An excellent size and larger style lounge/dining room with adequate space for the two defined areas. There are French uPVC style doors giving access out onto the enclosed rear garden. Two radiators and a handy under stair storage space. 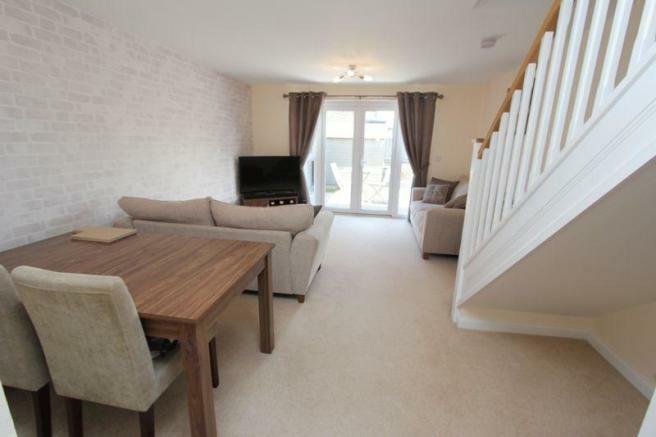 An open plan carpeted staircase then leads up to the first floor. A carpeted landing matching the stairs and matching panelled doors giving access to the two double bedrooms plus bathroom/WC. Drop down loft hatch and smoke alarm. A carpeted double bedroom with dimensions excluding that of a handy storage cupboard which is in essence over the stairwell. there is a radiator, rear uPVC window and second water and heating control panel. A panelled door leads to the en-suite. Spacious and with a white suite comprising a close coupled WC with button flush, pedestal basin and a larger than average single shower cubicle which is ceramic tiled and has an electric shower inset. 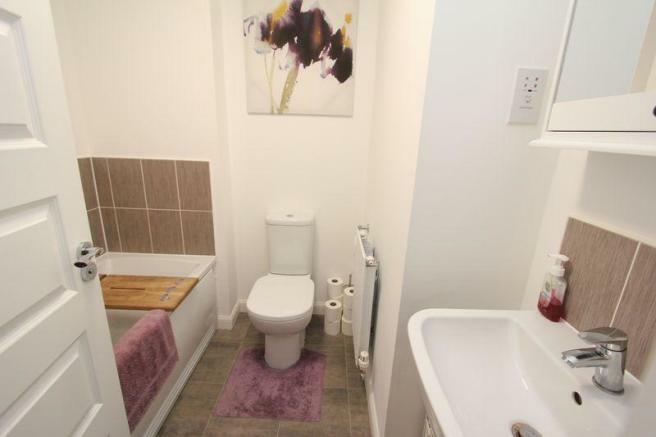 Easy wipe floor covering, ceramic tiled splash backs and there is a chrome heated towel rail. Extractor and shaver point. 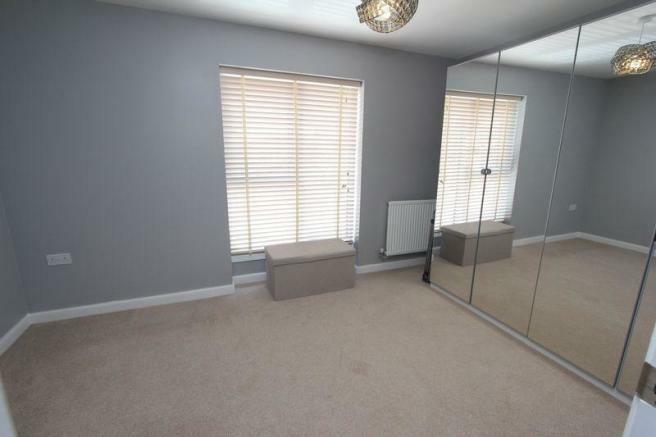 A large carpeted second double bedroom with front uPVC window and radiator. In pristine order with a white suite comprising close coupled WC with button flush, pedestal wash basin with tiled splash back and there is a panelled bath with mixer tap over and ceramic tiled splash back. Easy wipe vinyl floor covering, extractor, radiator and shaver point. Initially with a tarmac space for one vehicle. A cobbled style brick paviour feature leads to the front door with a planted section adjacent. Initially with a patio area extending onto a small area of lawn. There are Welsh slate chipped low maintenance sections ideal for displaying potted plants and so on and the garden is enclosed by well maintained timber fencing. The garden shed is to remain. 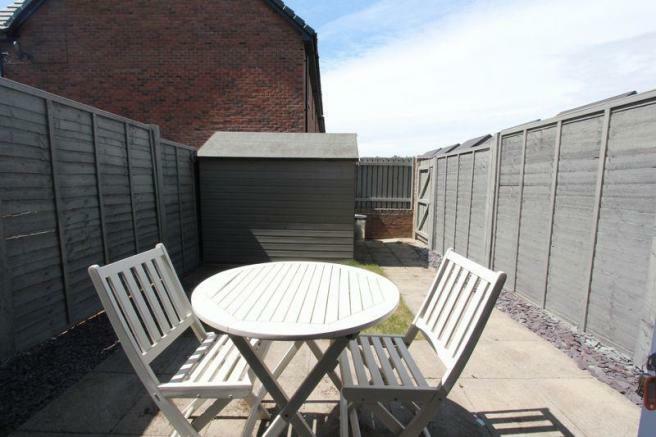 there is also handy gated rear access which returns to the front of the property. Outside tap. 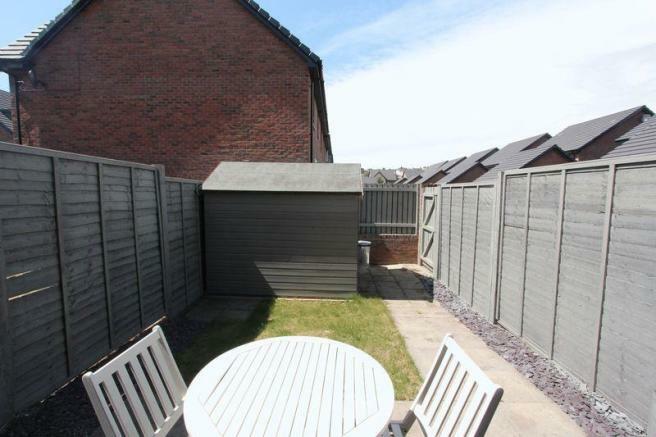 The rear garden enjoys an excellent degree of privacy and is not overlooked directly from the rear. Please note there is annual charge for the upkeep of local outside spaces. This charge equates to approximately £140 per annum. Disclaimer - Property reference 8996094. The information displayed about this property comprises a property advertisement. Rightmove.co.uk makes no warranty as to the accuracy or completeness of the advertisement or any linked or associated information, and Rightmove has no control over the content. This property advertisement does not constitute property particulars. 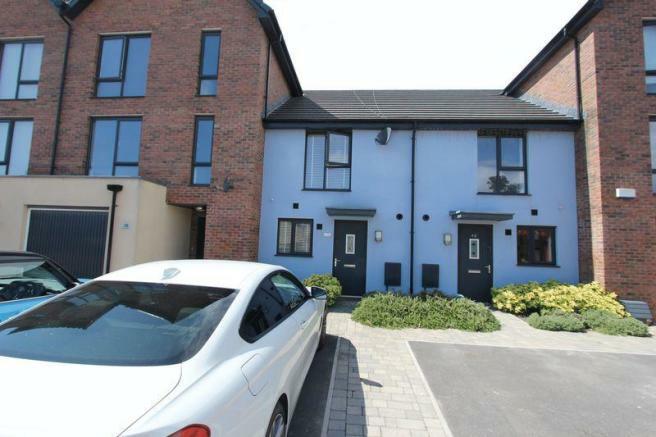 The information is provided and maintained by Chris Davies Estate Agents, Barry. Please contact the selling agent or developer directly to obtain any information which may be available under the terms of The Energy Performance of Buildings (Certificates and Inspections) (England and Wales) Regulations 2007 or the Home Report if in relation to a residential property in Scotland.